Our all-new iComfort® EFX collection features both our exclusive EverFeel™ Technology and an enhanced layer* of Cool Action™ Dual Effects® Gel Memory Foam for a deep, plush comfort that’s also supportive. 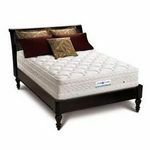 Enjoy all the benefits of gel memory foam with this iComfort® EFX Aura mattress model featuring an enhanced layer of our Cool Action™ Dual Effects® Gel Memory Foam. 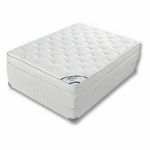 This mattress offers contouring, pressure-relieving comfort at the sleep surface while also supporting your body where it needs it most. It also features our exclusive EverFeel™ Technology for a difference you’ll feel the moment you lie down. We have had it replaced under warranty and same problem. Wish I could get my money back. 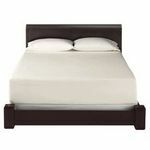 The iComfort Aura II Queen-sized mattress by Serta helps me to get a better night's rest. I took a trip recently where one of the motels had a similar mattress. 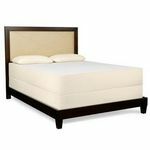 Though the mattress I was using at home was less than twenty years old, I had no idea that it had lost so much of its ability to hold shape and support my body in sleep. The iComfort is at once soft and gentle, yet supportive. I was surprised to find that I slept more hours before waking up with the iComfort Aura. The mattress I replaced was a king-sized mattress, but the extra level of comfort that the iComfort provides more than makes up for the smaller width. Though I still experience hot flashes, especially at night, I am waking up less frequently since I began sleeping on the iComfort mattress. I am also able to fall asleep more quickly when I first go to bed, and return to sleep in less time when I do wake up at night. 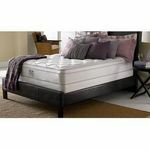 I would recommend the iComfort mattress to anyone of any age. It is a wonderful mattress.